New Chelsea manager Jose Mourinho have warned team captain, John Terry that he could be benched in the new season just as he was benched by his predecessor, Rafa Benitez. Terry found himself primarily among the substitutes during interim boss, Benitez’s reign at Stamford Bridge, which led to criticism from the Chelsea faithful. 'I am a coach who looks for a meritocracy. Whoever I think is best must play - without looking at status or the past,' Mourinho told Spanish TV programme Punta Pelota. 'You play as you train. It is a normal situation. 'As it was normal for me to leave [Marco] Materazzi, a mythical player at Inter Milan, on the bench. Or like Benitez this year at Chelsea with Terry. Mourinho will have the final say on the player's future at the club as Terry has just one year remaining on his contract. He blamed Terry in part for his departure from Stamford Bridge back in 2007 but the pair have made up since. Although Mourinho has warned that players will be selected on form, he appreciates the benefits - including leadership and motivation - of having Terry as a consistent part of his back-line. 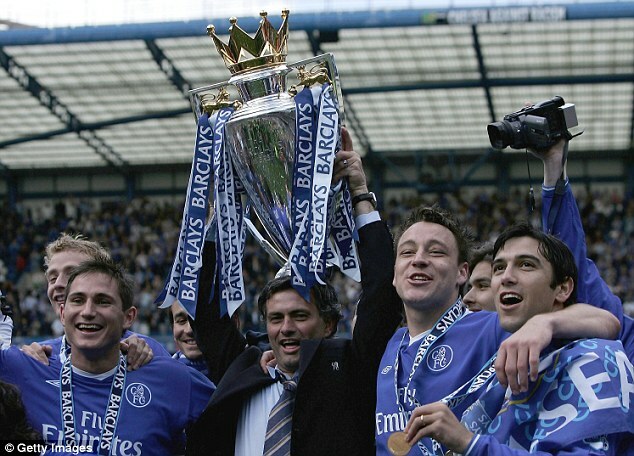 CaptainTerry was an integral part of Mourinho's double title-winning side, playing alongside William Gallas and then Ricardo Carvalho.